A Saildrone presumed lost at sea for nearly three years has been found by Kiwis studying the population of the southern right whale near Antarctica. A Saildrone is not a drone that flies, rather one that sails and was recording data for studies of the ocean atmosphere. It was launched from San Francisco in August 2015 with the goal of making the first unmanned circumnavigation of Earth. Founder Richard Jenkins said the drone spent too long on the equator, taking measurements for El Niño studies, so reached Cape Horn late in winter where it encountered massive storms. "We lost contact shortly after it rounded Cape Horn. From there the vessel's track is a mystery that downloading the on-board data-logger might solve," Jenkins says. The saildrone was then recorded as being on Sandy Bay, on Enderby Island which is part of the Auckland Islands. 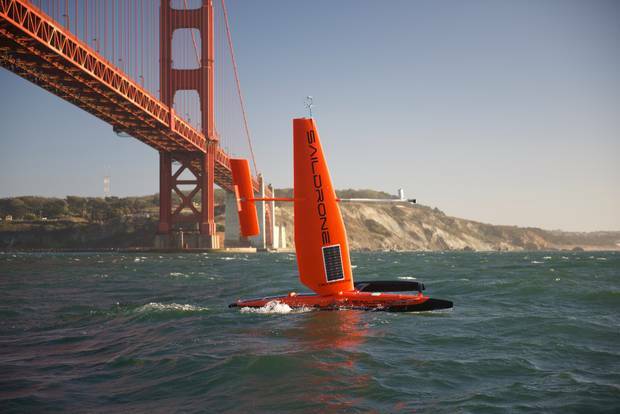 The Saildrone setting sail from San Francisco in 2015. It turned out that a University of Otago team led by Professor Steve Dawson and Dr Will Rayment happened to be in the area and were given the task to pick it up. 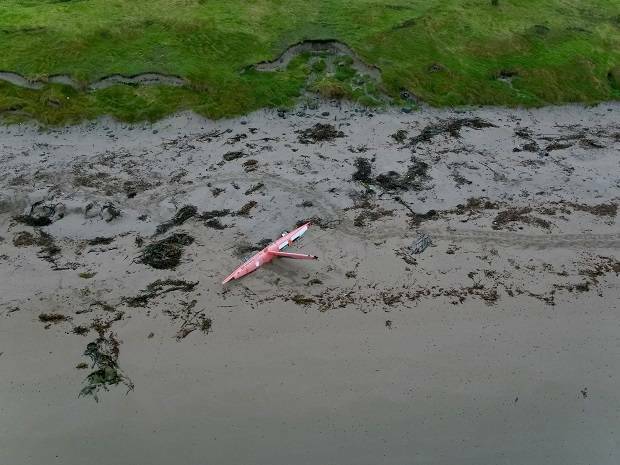 Professor Dawson was amazed to find the Saildrone intact, with only its outriggers and wing-sail damaged, something he says is a testimony to the strength of the craft. "This tiny unmanned yacht has survived the world's roughest oceans for almost three years. Considering the impressive array of data Saildrones can collect, it's clear that this will be a key technology for monitoring our changing world," he said. The Saildrone, and its important on-board data, is currently being stored by the Department of Conservation in Dunedin. It is expected it will be reunited with Jenkins and the Saildrone team in October. Thanks for that...an interesting read. Yes I thought so too ato2, probably because I was completely unaware of their existence. A quick query to Aunty Googly results in a heap of stuff, the one I found most interesting was the bloomberg one . . . Thanks. That was an interesting read.